Go dry Technology to wick away sweat from the body. 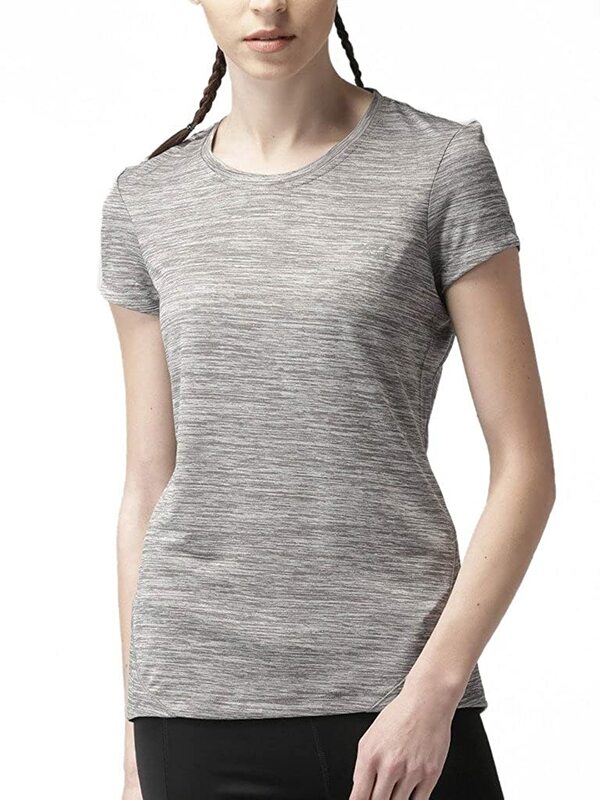 Knitted, round neck with front shift shoulder seam. Textured fabric for trendy look. Drop tail hemline at the back for better coverage. Trendy print on the front panel. ƒí Best suited for Running,Gym/Training. 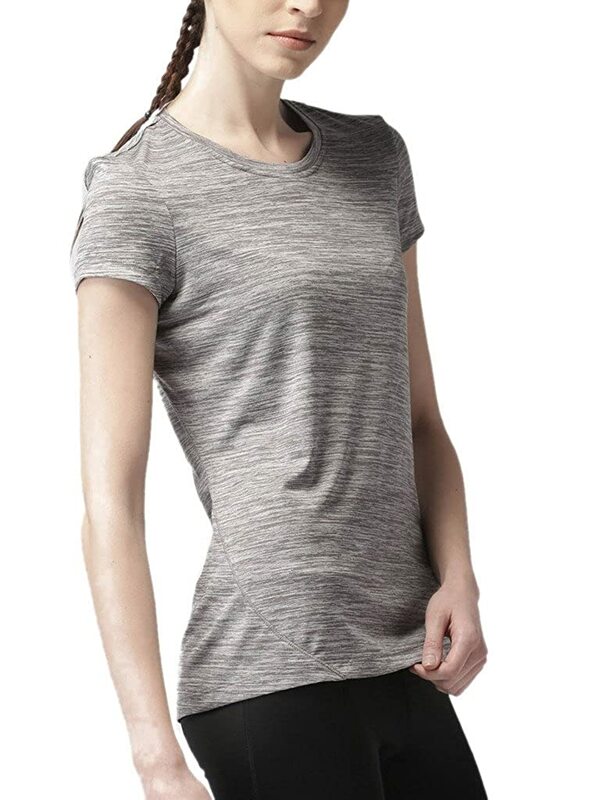 Sweat out and work out in style and comfort wearing this grey T-shirt from 2GO, done with a heathered pattern all over and fashioned with go-dry technology to make you feel cool and dry. It is made from lightweight 100% polyester fabric to wick away excess moisture. Team it with tights and trainers.